Joe Festa is an institution in Trenton, New Jersey. 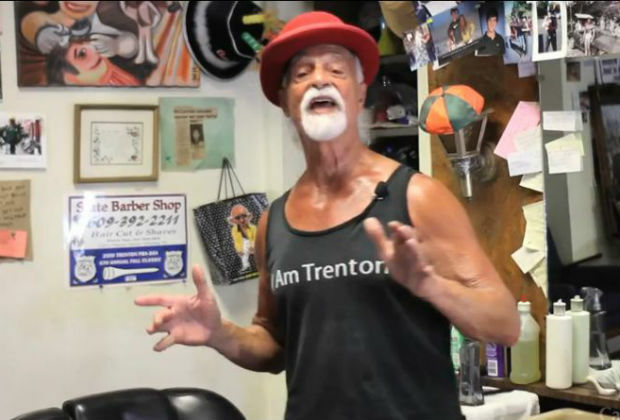 A barber for over 50 years, he cuts “the working guy’s hair” and occasionally that of a governor, member of Congress or famous athlete. People keep coming back to the State Barber Shop because he loves them. His hot lather shave followed by a pulsating massage may be another reason he has such a loyal customer base! His shop is his perch to make a difference. He has two passions—supporting fellow community businesses and getting youth on the right path—and many in Trenton have directly benefitted from his mentorship. His colleague, Bruce Marchesi, explains what it takes to be a barber. New Jersey requirements to become a barber are among the toughest, requiring a cosmetology license at a cost of $10-15,000. Most other states allow people who want to cut only men’s hair to obtain a barber license for considerably less time and money. Both men have raised their families from the income generated as barbers. People will always need a haircut, making this career choice almost recession proof and maybe a good fit for you! For another community-oriented small business, check out the Good TIme Stove Company, of Goshen, Massachusetts.